Depending on your accident claim, you may be dealing with multiple insurance companies. One thing is certain. You can expect a call or contact letter from each and every insurance adjuster. How you handle the intervention could actually mean something to your claim. Let’s start first with your own automobile insurance carrier. At the onset, it is your responsibility to report any car crashes to your company. Obviously, you will have concerns about getting your vehicle repaired and securing payment for your medical bills. You may have further worries about other accident-related expenses. The insurance adjuster for your liability insurance can generally provide you with some preliminary answers. Almost always, it will be your own insurance company that first requests a recorded statement. The adjuster will tell you that your claim cannot be processed without one. Candidly, you should be surprised if you’re not asked to give your version of the accident. So, what do you do? It is perfectly acceptable to provide your insurance company with the names of the parties involved in the accident. Moreover, you should not hesitate to provide the date and location of the incident. If you already have secured the police report, provide it to the insurance company. And, stop there. You might even consider turning the tables. 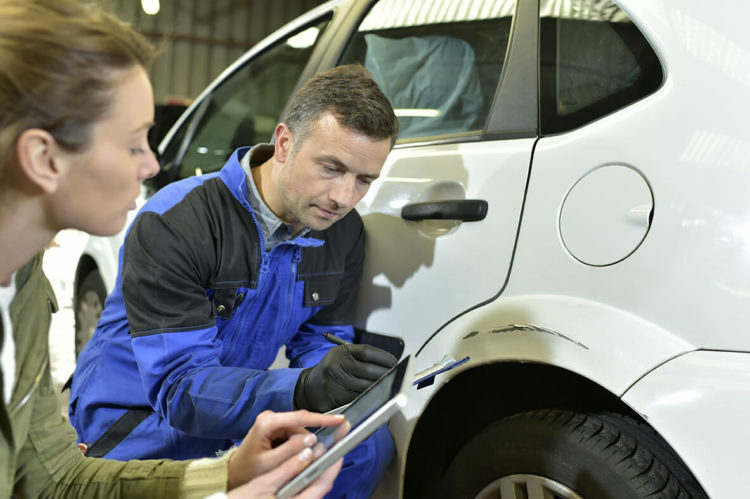 Find out how to go about getting your car repaired. How will your medical bills be paid? Determine if you have coverage if the driver who caused the accident was uninsured. If you are pressed for a statement, mention that you are in the process of securing legal advice. And, don’t just stop there. Make an appointment with an experienced Texas personal injury attorney to determine the correct way to handle the request for a statement. All this for your own insurance company? So, what happens when the other driver’s insurance company requests your version of the accident? It’s bad enough to get injured in a car wreck. Frankly, the last person you ever hope to see is the driver who caused the accident. With that in mind, the insurance adjuster becomes that individual’s representative. The request for a statement may start as inviting and helpful. Surely you want your own brand of justice. For many, the opportunity to tell the story is a cathartic experience. Unfortunately, the more you talk, the more harm you can do to your claim. Take a step backward. Why would the other driver’s insurance company possibly want to assist you? Seriously, its interest is almost always financial. Insurance adjusters are paid to keep claim payouts to a minimum. That’s not to say that they might not feel bad that you were injured. However, they are looking to establish their driver’s liability. You are not obligated to give a recorded or unrecorded statement to the potential defendant’s insurance company. Repeat. Your claim will not be arbitrarily denied if you decide it isn’t in your best interests to agree to answer questions. Here are some reasons you want to be firm in denying the request for a statement. First, you wouldn’t be the first accident victim to be confused by the formatted questions. You could find the statement intimidating. Candidly, if you are in a great deal of pain and taking meds, this could affect your statement. That’s not to say that all requests for recorded statements are routinely denied. In some cases, a Houston car accident attorney may decide that liability is absolute. In that case, a statement may help to end the case sooner. Notwithstanding, the lawyer may ask to be present or on the phone line when the statement is recorded. Were you injured in a car crash? If the insurance company has asked to take your statement, you should first seek the legal advice of an experienced personal injury attorney. There is no charge to meet with de Lachica Law. Let us know when you are available to discuss your case. Thank you for talking about how it is your job to contact your insurance adjuster after an accident. It is important to remember that doing this can help you avoid extra fees and get the process started. Personally, I think that taking the time to do your homework ahead of time can help you find a company that you feel comfortable with and that offers the coverage you need.